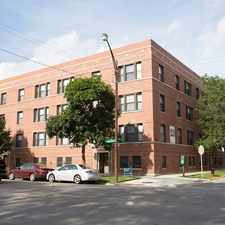 1544 East 65th Place is a 12 minute walk from the ME Metra Electric at the 63rd St. stop. 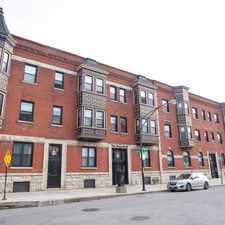 This apartment is in the Woodlawn neighborhood in Chicago. Nearby parks include Jackson Park, Perennial Garden and Midway Plaisance. 1544 East 65th Place has a Walk Score of 71 out of 100. This location is Very Walkable so most errands can be accomplished on foot. Clean, modern, sunny, 2nd floor condo available for immediate occupancy in quiet culturally diverse, Woodlawn neighborhood. Steps from the park an reliable transportation minutes from the lakefront, golf course, gas station, grocery store, and the historic University of Chicago campus and hospital. As well as the Hyde Park restaurants and entertainment. Just blocks from the future home of The Obama Presidential Library & Museum. Transit is convenient for most trips. Explore how far you can travel by car, bus, bike and foot from 1544 East 65th Place. 1544 East 65th Place has excellent transit which means transit is convenient for most trips. Car sharing is available from Zipcar, I-GO and RelayRides. 1544 East 65th Place compared to all of Chicago. How do you feel walking near 1544 East 65th Place? View all Woodlawn apartments on a map. Search for homes in Chicago or find a Chicago real estate agent who knows walkable neighborhoods. Links will open on our partner site Redfin.com. 1544 East 65th Place is in the Woodlawn neighborhood. 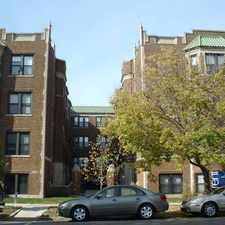 Woodlawn is the 85th most walkable neighborhood in Chicago with a neighborhood Walk Score of 69. Moving to Chicago from another city? View our moving to Chicago guide. 5439 45 S. Woodlawn Ave.
5410 18 S. Ridgewood Ct.